Setting standards of performance is a ubiquitous task in education licensure, certification, and credentialling. It is found in elementary schooling, the professions, commercial applications, and governmental and private organizations. It is one of the most complex, controversial, and vexing issues facing specialists and policy makers today. 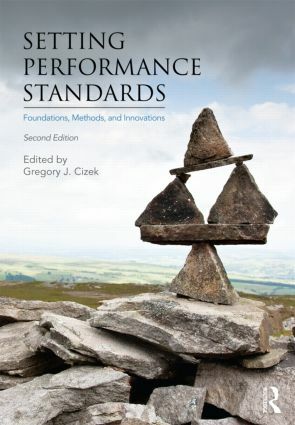 This second edition solidifies Setting Performance Standards as the only book providing a comprehensive profile of both the issues and the "how-to" methods that define this thorny field. Four chapters have been removed; 11 chapters have been added; 2 chapters have major revisions; and all chapters have been updated. Comprehensive – Part I provides a conceptual overview of standard setting and its overarching issues; Part II provides practical (how-to) information on the newest standard setting methods; Part III provides information and advice on persistent and potential challenges in standard setting. Practical – Part II (the heart of the book) reviews 16 of the newest standard setting methods, far more than any other book. Expertise – Most of the well-known authors from the 1st edition return, with authors of equal stature contributing new chapters.